We’ve discussed before the many barriers to listening. But how do we overcome these barriers to improve our own listening skills and the skills of those around us? Listen more to God. Our sensitivity to others will grow as we become more sensitive to God. Furthermore, the closer we are to Him, the more wisdom we will have to perceive the true message and meaning of others. Search for something you can learn. Treat everyone you listen to as though he knows something better than you. Make it your point to listen long enough to find that something. Be an active listener. Ask open-ended questions. Look at the speaker and concentrate on what is being said. Ignore the person’s appearance, mannerisms, personality or delivery if they distract you. Focus on content. Reach for the idea that is being conveyed. Help the speaker with your attentiveness and verbal expressions of interest. Restate what you’ve heard to clarify understanding. Be alert to nonverbal communication. Listen between the lines for hidden meanings. Guard yourself. When certain “trigger” words or ideas come up, don’t react emotionally. Bite your tongue when necessary. Watch your tone of voice. Don’t interrupt. Don’t jump to conclusions; hear the person out. Sit or stand at the same level as the speaker. Remove barriers that create distance, such as a desk in between you. Work at it. Effective listening takes energy and you get better at it as you practice. Prepare for a meeting by studying the subject and thinking about it. Then listen actively and energetically. Afterwards, reflect on how your listening could be improved. Resist external distractions. Sit where you can see and hear without being distracted. Go with the person to a more private place if necessary. If you are in the middle of something, put it on hold. Don’t try to multi-task while you are listening. Give serious matters serious attention. If someone comes to talk about a serious matter, let him know up-front if your time is limited by another commitment. Reschedule if necessary. Take meaningful notes. Make them brief, easy to interpret, and easy to review. Determine what style of note-taking is most practical for you. Be flexible since many speakers do not follow a logical outline; pick out the information that is genuinely useful to you. Capitalize on thought speed. The average talker speaks about 200 words per minute, but a listener can process information at around 300 to 500 words per minute. Instead of using this “time-lag” for daydreaming or other mental tangents, use it for more productive use such as internally summarizing or visualizing what is being said, or associating what is being said with something already stated. Ask others (spouse, friends, coworkers, leaders) how well you obey James 1:19-20. Ask them which areas you are strong in and which you need to work on. Be accountable to others in your listening. Know what you want to say. You must be clear. The listener will not be able to understand you if you talk in vague and fuzzy terms. In fact, the listener often puts fuzzy information together in a way that makes sense to him, often not realizing that it wasn’t what the speaker intended. Both people come away from the interaction thinking that effective communication took place when it did not, which often leads to misunderstandings and conflict. Simple, specific terms are less likely to be misunderstood. Present ideas one at a time or in small bits; do not try to say too much at once. Present yourself in a credible manner. In the way you dress, stand and speak, you should make it easy for others to take you seriously. Speak with conviction. If you don’t look or sound like you believe what you are saying, why should anyone else believe it? Know as much as possible about your listener. The more you know your listener and speak in terms he will understand, the more your content will be relevant and interesting to him and the more accurately you will be able to understand his responses. Speak at the level of your listener. When someone talks over a person’s head, it can be taken as a put-down by the listener. On the other hand, talking below a person’s understanding can also be perceived as a put-down, because the listener feels patronized and “talked-down-to.” Thus, it is important to use language and ideas appropriate to your audience. Assist retention. Associate new ideas with those already familiar to the listener. At regular intervals summarize the ideas you have mentioned. If necessary, write down the main points. Encourage feedback. We all tend to overestimate our own accuracy as listeners. Furthermore, we tend to overestimate other people’s accuracy when they are listening to us. Without receiving feedback, we often think we have been understood when in fact we haven’t. To increase effective communication, periodically ask for questions and comments about what you have said. Without this, you will not know whether your message has been received as intended. 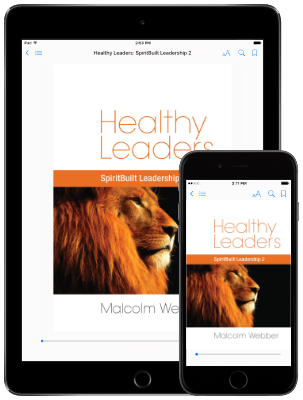 This two-way communication will allow you to amplify and adjust your message to the listener, to correct misunderstandings, to minimize the chance of distortion and deletion, and to increase ownership by the listener of what you are saying. To assist you in your growth in listening, try these exercises. Find a partner (friend, coworker, spouse, etc.) and practice listening attentively without interruption and then restating in your own words what you heard. Focus on hearing them out completely before you respond (Prov. 18:13), no interruptions. Select a two-hour period during which you would normally interact and talk with people (if you do this with coworkers, each of you should select a different time period). Remain completely silent during this two-hour period. If you speak before the two hours are up, you must start the two-hour period over again. What did you learn about yourself from doing this? What did you learn about listening? A leader’s ultimate success depends directly upon his effectiveness as a listener. Consequently, the leader who wishes to be effective in leading God’s people into the fulfillment of His purposes cannot be a passive, noninvolved listener. Will you make a commitment now to work at this in your life and ministry? You have an ethical and spiritual responsibility to do so. A willingness to listen ultimately reveals a true heart of love.